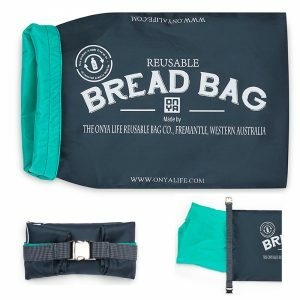 These reusable Bread Bags are made from up to 10x recycled plastic drink bottles and is designed to replace single use paper or plastic bread bags, plastic toggles and ties. Each Bread Bag is big, measuring 41cm long x 25.5cm wide plus a 10cm gussett, to allow even high top loaves up to 16cm high to fit. 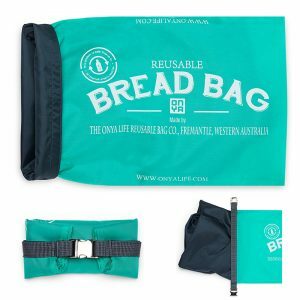 The Bread Bags have been made to Australian Bakers Industry Standards and the bag dimensions have been modelled off the size of single use plastic bags normally given out at bakeries. So they are designed to fit over most of the machines bakeries use when slicing the bread.